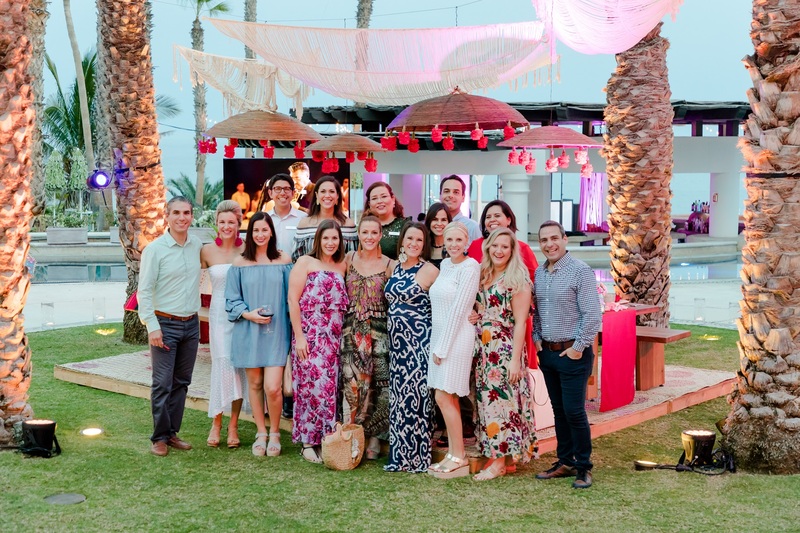 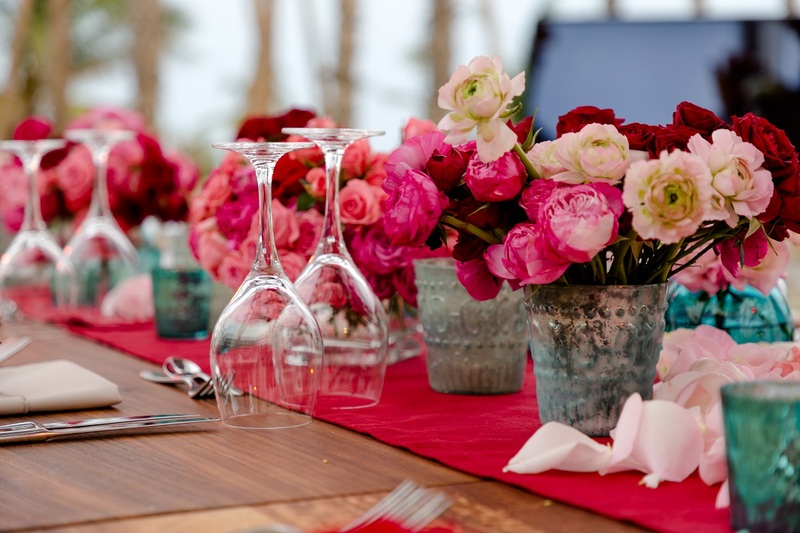 In honor of the day of love, we thought we’d share a special peek at the vibrant dinner celebration we created recently for a “fam trip” for visiting wedding planners at the Hilton Los Cabos Beach & Golf Resort! 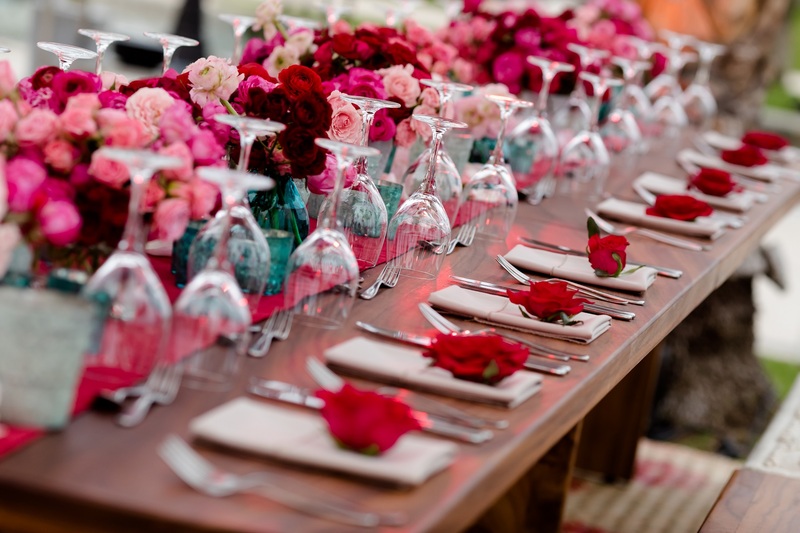 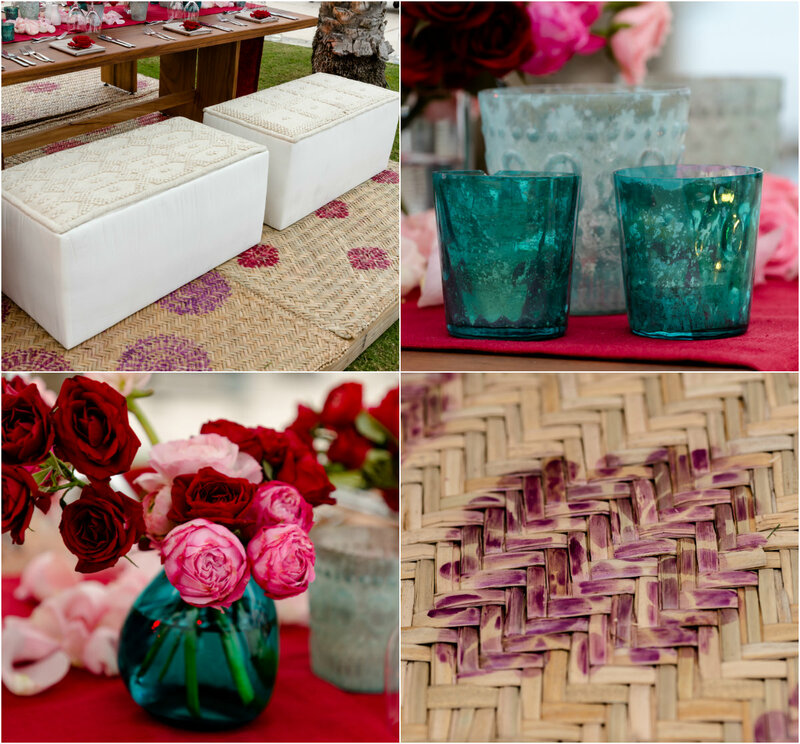 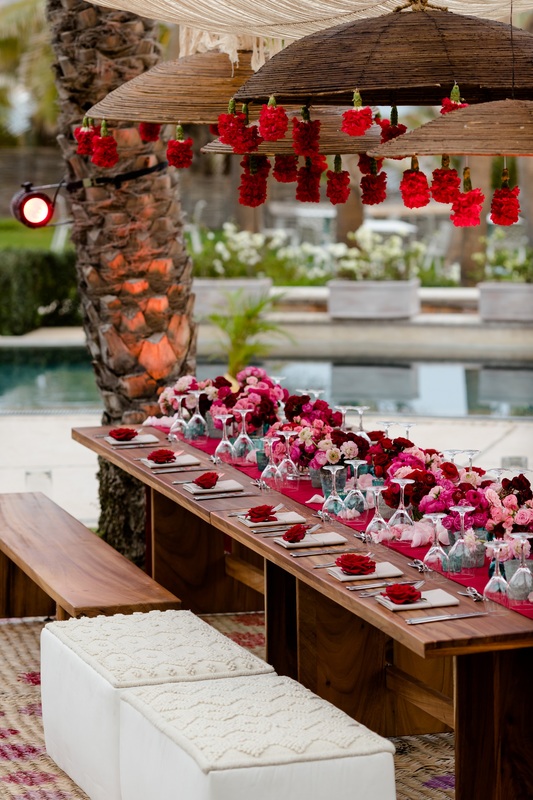 As you can see, the design is just the right amount of Valentine’s Day wedding inspiration! 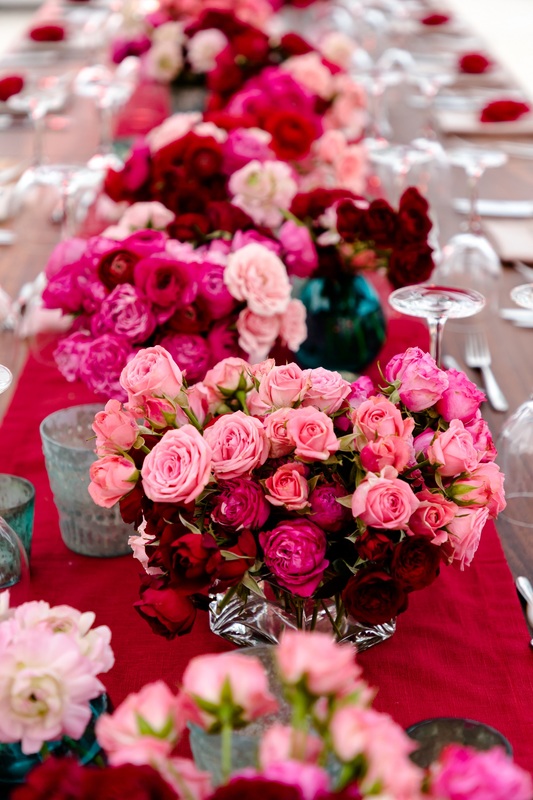 Our dear Elena Damy, Creative Director and Lead Floral Designer with #TeamElenaDamy, poured on the rich reds and pretty pinks for a romantic tablescape under the stars. 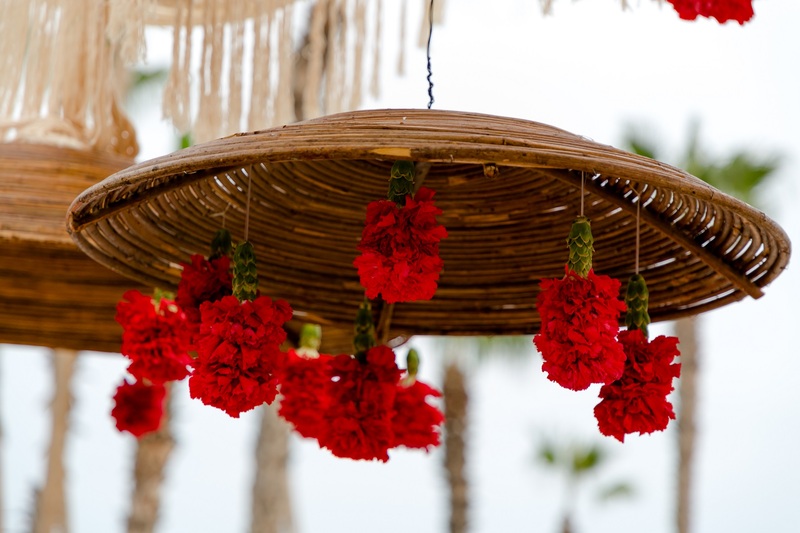 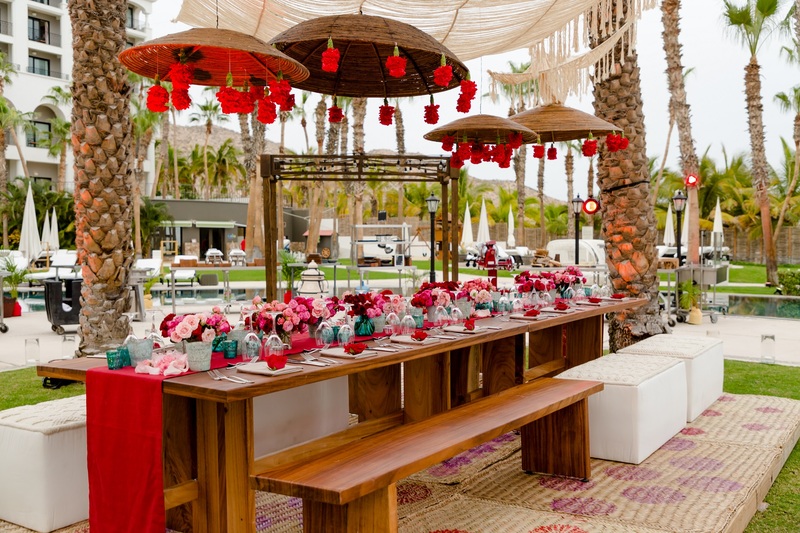 For a Bohemian beach vibe, Elena suspended macrame panels, woven lamps, and hand-strung red carnations. 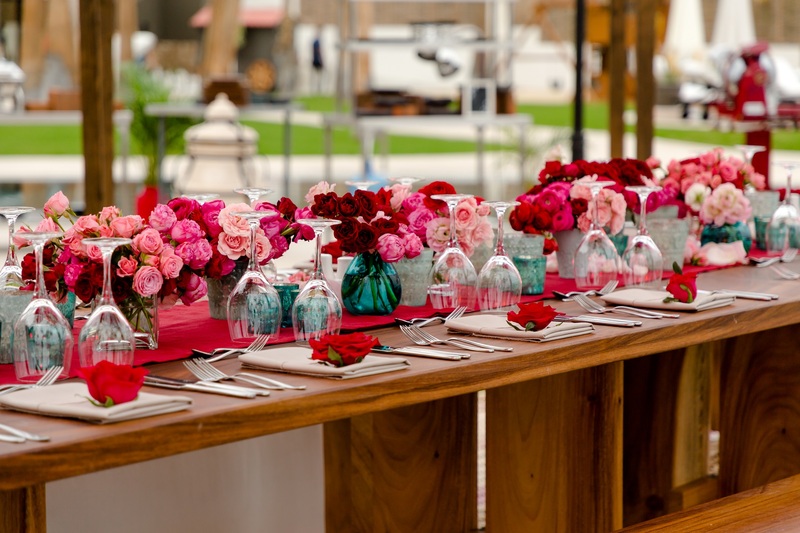 And, for a little pop of contrasting color, Elena placed aqua blue glass votive candles down the length of the table! 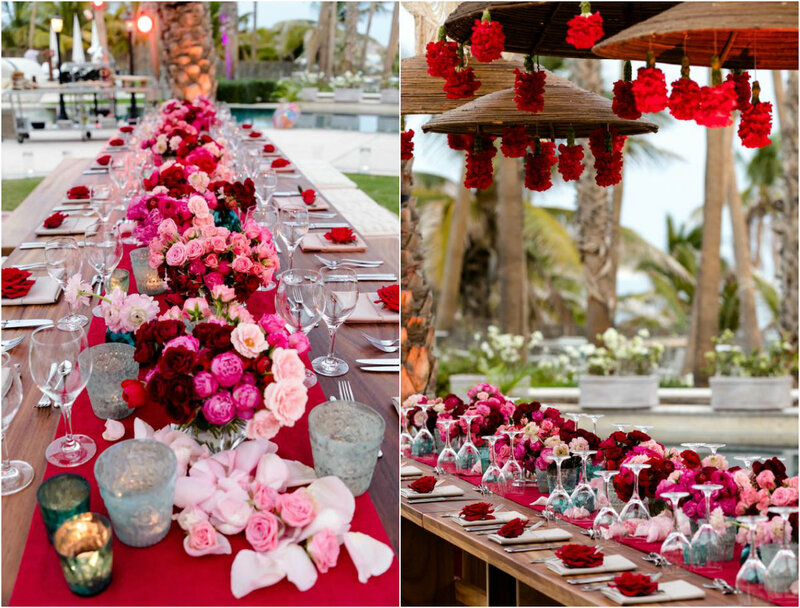 It was truly spectacular and just perfect for February brides!